What is the Consecrated Host in Catholicism? 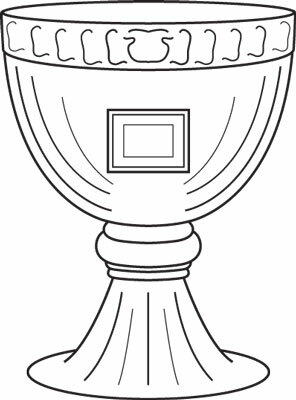 Catholicism maintains that Christ’s body and blood are present in the consecrated host (the wafer of bread upon which the priest says the words of Jesus from the Last Supper: “This is my body”) and in the consecrated wine (over which the priest says the words of Jesus: “This is the chalice of my blood”). Holy Eucharist refers to the three aspects of Christ’s body and blood — as sacrifice during the Consecration of the Mass, as Holy Communion, and as Blessed Sacrament. These three aspects form the core of Catholic belief on the Holy Eucharist. The word Eucharist comes from the Greek eucharistein, meaning “thanksgiving.” Catholics are grateful and give thanks to God for providing the Holy Eucharist to feed and nourish the soul. Only wheat bread and grape wine can be used. The moment the priest or bishop says the words of consecration — the words of Christ at the Last Supper, “This is My body” and “This is My blood,” (Matthew 26:26–29) — Catholics believe that the bread and wine become the body and blood, soul and divinity of Christ. On the natural level, whatever we eat becomes part of us (that is, until there’s too much of us, and then we must go on a diet). On the supernatural plane, when Catholics eat the body and blood of Christ, they’re supposed to become more like Christ in his obedience to the Father, humility, and love for neighbors. To Catholics, the physical act of eating the consecrated host or drinking the consecrated wine from the chalice, a blessed cup (see the figure), is secondary to the underlying invisible reality that the human soul is being fed by the very body and blood, soul and divinity of Christ. The body merely consumes the appearances of bread and wine while the soul receives Christ personally and totally. A chalice from which Catholics drink consecrated wine. Latin (Western) Rite: Holy Communion is in the form of consecrated unleavened hosts made from wheat flour and water, just like the unleavened bread used by Jesus at the Last Supper. The host is flat and the size of a quarter or half-dollar. Latin Catholics may receive the host on their tongue or in their hand if the local bishop and the national conference of bishops permit. Eastern Rite: Catholics receive consecrated leavened bread (the yeast or leaven symbolizes the Resurrection), which is placed inside the chalice (cup) of consecrated wine. The priest takes a spoon and gingerly places a cut cube of consecrated bread soaked in the consecrated wine inside the mouths of the communicants without ever touching their lips or tongue.